For the modern gentleman, getting the shave right is important. Here at Porters Barbers, we really understand how to provide an excellent hot towel shave at all our locations across London. All of our highly-trained barbers will give such an excellent service that you’re bound to love the impressive results. Porters Barbers are the modern venue for a vintage experience. Sit in our classic chairs and go back to a time when barbershops were a vital refuge for the well-groomed gentleman. A hot towel shave at any of our locations across London is an experience every man should try. Our barbers welcome you and provide a service that is second-to-none. Enjoy the relaxing sensation as heated hot towels are placed on your face. They open your pores, keep your skin moisturised, and soften your hair and skin for the shave. Reclined comfortably, the hot towel shave offers men a rare opportunity to truly relax. As you sit in one of our vintage barber chairs, we’re confident that you’ll enjoy one of the most comfortable shaves you’ve ever had. Our treatment finishes with a traditional shave. A close shave by a qualified barber is a ritual for the modern man, and our hot towel shave will give you a precise shave that’s hard to beat. With one of our professional barbers behind the blade, you can enjoy one of the most traditional barber’s experiences in modern surroundings. A hot towel shave from Porters Barbers is a luxury treatment for any man. In an age where speed and convenience is key, a trip to one of our barbershops is a step back to more elegant times. All Porters Barbers locations in London are inspired by the grandeur of pre-World War 2 barbershops. They’re all a masculine mix of traditional and modern and are designed to be appreciated by all men who want to take care of their appearance.  Porters Barbers operates in four locations across London: Clapham, Dulwich, East Dulwich and Brixton. Whichever location you go to, you’ll get a faultless service. Our interiors and equipment and the atmosphere we’ve created will give men the traditional service they’ve been looking for.